Conservative encapsulating product, type A, according to the 20/08/1999 regulations. It is used to encapsulate manufacts subject to the atmosphiric agents. Colours: white-grey, Sienna red, brick red, dark brown, or any other colour, on demand. Conservative encapsulating product of manufacts containing asbestos which are on the outside of a building, on sight. 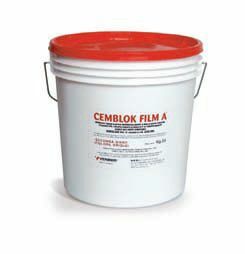 Applied for over 20 years, it is a water based product certified according to the security rules.